2018 routes are now set! The 2018 routes are the same as 2017 except that the 65 and 100 mile routes in Annapolis will continue down King George St. rather than turn up Maryland Ave. New this year are talking turn by turn directions – see Ride With GPS Below! We encourage you to print your Cue Sheet below or you can pick one up at Saturday packet pickup 12 – 2pm or Sunday morning. For details about location, parking, packet pickup, start times, rest stop times and more, please check Ride Day Details. First time century rider? Visit active.com’s tips for preparing for your first century. These are formatted “4-fold” for easy use during the ride. FIT Course: FIT is the best format for turn-by-turn directions on modern Garmin Edge Devices. TCX Course: Compatible with most modern GPS units. Provides turn by turn directions including custom cue entries, but may consume more space than FIT. These files are located in our Google Drive. Help for uploading these files to your device, such as Garmin 205/305, 500, 510, 605/705 800, 810, 1000 on the Ride With GPS site. BikeAAA has upgraded its Ride With GPS (RWGPS) account to allow any user with the app and a free account to enjoy all of the paid account features with any ride in our RWGPS Library. This allows you to use the free app/account for turn by turn directions on your iPhone or Android device. The directions are audible so the phone could be located in your jersey pocket or if you have a handlebar mount, you can view the map and see visual and hear audible instructions. Here’s the process, it’s simple! Go ride the route! The app will give turn by turn directions. There are other options you can select from the menu to control the behavior of the app during the ride. The app will also record your ride details such as speed, elapse time and other data. As always make sure you have a cue sheet in case your battery dies! The 65 and 100 routes visit many scenic parts of Anne Arundel County including the Severn River, U.S. Naval Academy, City of Annapolis, historic Statehouse, Chesapeake Bay, USNA Stadium and more! The 100 milers will enjoy rural south County and the Galesville Wharf Park rest stop right on the water. 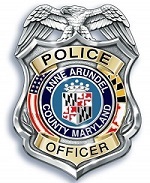 This is a unique opportunity for an organized ride to visit all parts of the County as most rides in the area focus only on the rural parts of south Anne Arundel and Calvert Counties. These routes are on urban and rural roads that are open to all vehicular traffic. The 15 and 30 routes are entirely on paved trails away from vehicular traffic for those not comfortable on the open roads. Many new riders set these as goals for personal distance records! These flat paved trail rides are great for families and special needs riders. The century route touches all parts of the County with a variety of terrain. Starting at Kinder Farm Park, it goes down the B&A Trail, over the Severn River, through the City of Annapolis past the U.S. Naval Academy and City Dock, south out of the city with a rest stop at beautiful Bay Ridge with views of the Chesapeake Bay, Bay Bridge and Thomas Point Lighthouse. The route continues to south county and a waterfront rest stop at scenic Galesville. 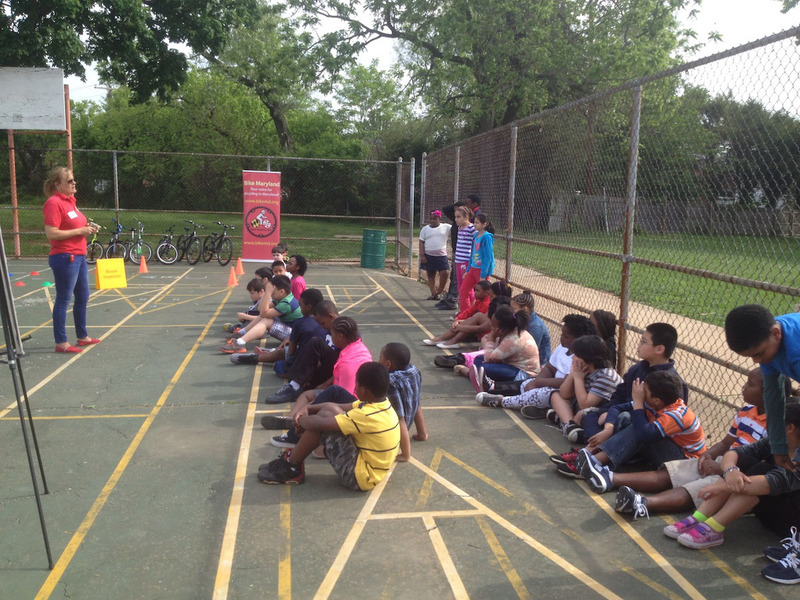 Continuing west through the popular rolling terrain riding routes in Davidsonville, up to a rest stop at Crofton Park. The route continues north through west county up to BWI with a rest stop at the scenic Dixon Aircraft Observation area. The route continues south on the B&A Trail returning to Kinder Farm Park. The route encompasses many urban and rural two lane roads with rolling terrain and a few shorter, steeper hills so riders should be comfortable with riding on open roads and a variety of terrain. It has a total vertical gain of about 4000 feet. 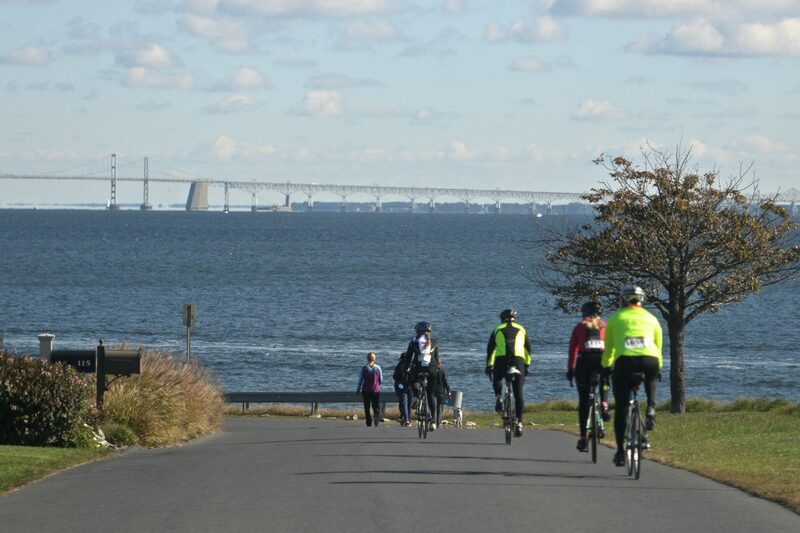 The 65 mile route follows the 100 mile route to downtown Annapolis and on to scenic Bay Ridge with its spectacular views of the Chesapeake Bay, Bay Bridge and Annapolis with the first rest stop at Bar Ridge Pool Club overlooking the Chesapeake Bay. After Bay Ridge, the route rejoins the Century route except for the more difficult rolling terrain in the south county loop and continues to the next rest stop at Crofton Park and finally to the Dixon Observation Area at BWI. After the rest stop, the route continues on the BWI Trail south of the airport, back on the B&A Trail returning to Kinder Farm Park. About a quarter of the route is on the B&A Trail and there there is rolling terrain on open urban and rural roads with a total vertical gain of about 2300 feet. The route can be lengthened by about 9 miles from the Dixon Observation Area by looping around the airport on the BWI Trail before returning south down the B&A Trail. The 30 mile route provides a longer (its actually 32.6 miles) “all trail” fairly flat option which encompasses the B&A and BWI trails. It can be shortened or lengthened to achieve a desired distance by altering the turn around point on the B&A trail. This is the best route for more fit riders who are not yet comfortable riding on open roads. 30 mile riders will enjoy the Dixon Observation Park rest stop where they have the option of adding about 9 miles by completing the BWI Loop Trail, which includes a great overlook of the airport, before returning to Kinder Farm Park. The 15 mile route is an “out and back” on the B&A Trail with a water stop at the turn around point in Arnold. This is the best route for novice riders that are not comfortable riding on open roads. Click here for details and to reserve a spot for this FREE afternoon event!